iReporter Natalie Montanaro of Campia Turzii, Romania, used a butterfly on her airplane because “butterflies are held captive in the confines of their cocoons until the day they reach for the light of the world outside and set their wings to flight." She says, "Let us all try to somehow, some way, someday, find a way to end the suffering, oppression, shame, violence and atrocities" of modern day slavery. 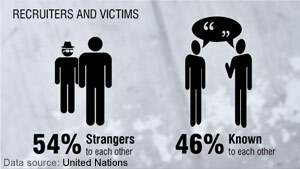 Dozens of you have taken a stand to end modern-day slavery. For the second Freedom Project iReport assignment, we challenge you to take the next step and spread the message even further. 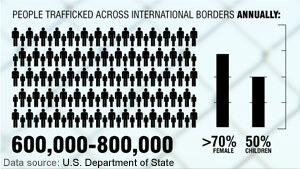 -Each year, between 600,000 and 800,000 human beings are captured and transported across international borders. 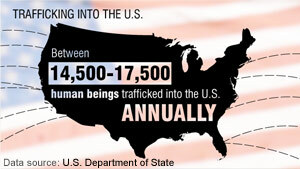 -There are at least 10 million slaves in the world today. 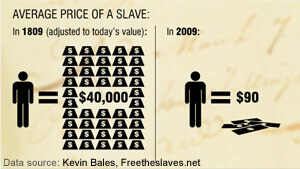 -There are more slaves now than any point in human history. 1. Build it. CNN is using the paper airplane as a symbol of the path towards freedom. We want you to make a paper airplane of your own. On one wing, write one of the three statistics above. 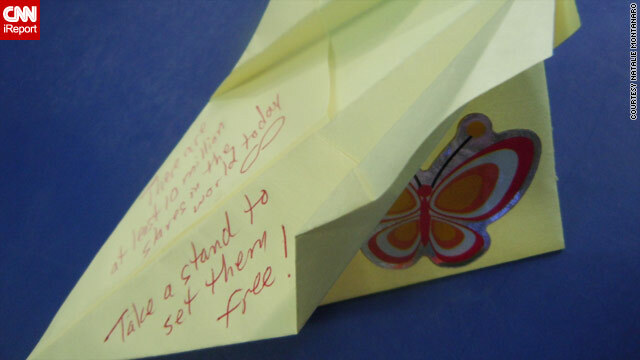 On the other wing, write a message of hope for the victims. Then add your name. 2. Show it. Upload a close-up photo of your airplane on CNN iReport. Extra points if you also upload a video of your plane flying through the air. 3. Pass it on. Give your plane to a friend or a stranger. Encourage that person to write their name and pass it on to others. The deadline is June 15. Check out the submissions we've received so far, then add your own. We look forward to seeing planes and messages from across the world and sharing them on CNN. I ENCOURAGE ALL TO GO TO THE TALLEST BUILDINGS AND HAVE A PAPER PLANE PARADE INSTEAD OF A TICKER TAPE PARADE. HAVE THEM FLY TO CELEBRATE WINNER OF WORLD SERIES. HAVE IT ANNOUNCED ON ALL TV STATIONS SO THAT THE WORLD WILL SEE IT. TAKE THEM TO FINAL GAME AND LET FLY ON LAST PITCH. THE WHOLE WORLD WILL KNOW AND SEE OUR CONCERN. CLUB OWNERS WILL SEE THAT BALL PLAYERS ARE GETTING A MESSAGE TO CLUB OWNERS ABOUT SLAVE LABOR! ALL THESE PLANES FLYING ACCROSS THE WORLD COMMING DOWN FROM THE TALLEST BUILDINGS, EVEN STATUE OF LIBERTY'S TORCH! IT WILL CREATE JOBS CLEANING UP THE STREETS AND BUIDING TOPS AT UNION SCALE, DUMP THE PLANES AT OWNERS OF SLAVE LABOR SHOPS FRONT DOORS. TELEVISE IT SO THE WORLD CAN SEE WHO SLAVE LABOR SHOP OWNERS ARE, WITH OUR MESSAGE TO THEM. you should read this article which came in Kuwait newspaper. its a coincidence . Just more litter to deal with! Plus the cost of time, energy, resources making the planes, ink, pens, markers, paper, clean-up and disposal. Well then who the Hell is going to pick all my cotton? You don't expect my fat arse to get out of bed early in the morning to do it do you? Besides, I'm busy making more slave babies...it's good for the economy. Kinda silly whipping all this symbolism on US. Must be a bunch of rich bored housewives & college kids. Maybe it's rich bored housewives wanting to meat college kids who knows. But it is a waste of time. We can't solve everyones problems. Yeah Yeah Yeah slavery sux I know. Whatdaya want me to do about it? hello!,I really like your writing very a lot! proportion we communicate more approximately your article on AOL? I need an expert in this house to resolve my problem. Maybe that's you! Taking a look forward to see you.